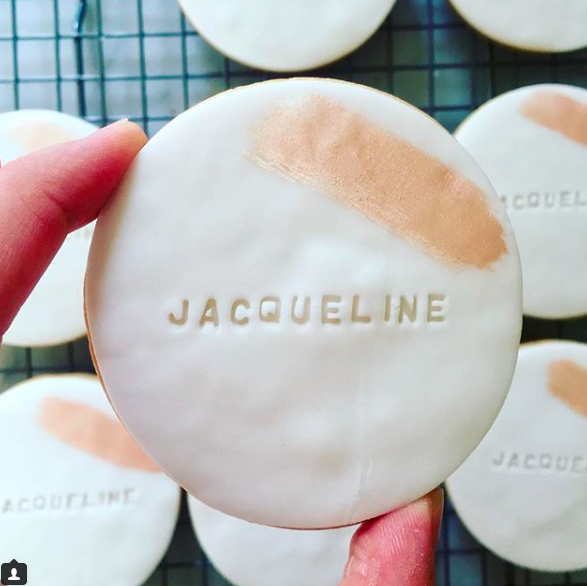 The Meringue Bakeshop specializes in stamped custom cookies, because we believe that writing on a cookie is the sweetest way to spread the word for a wedding, a birthday or a corporate event. 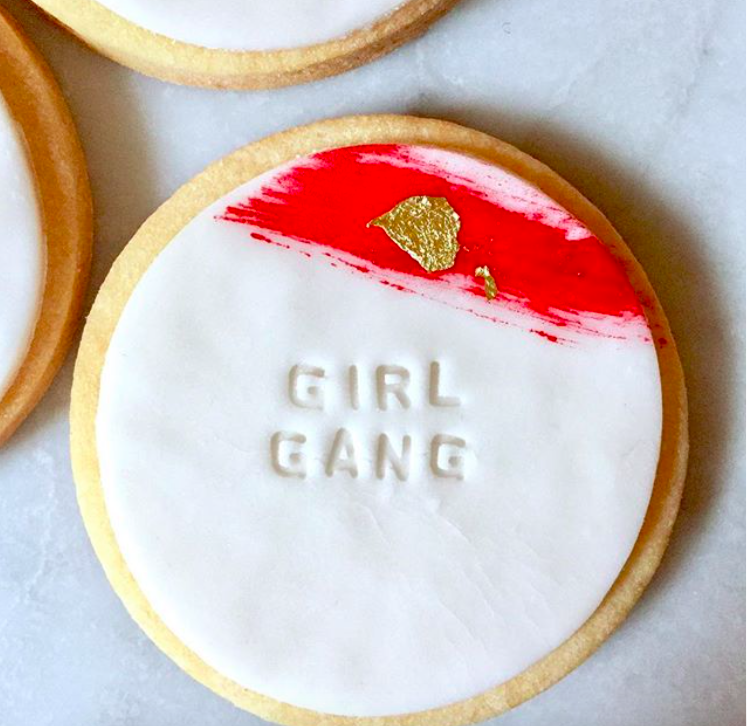 We use a delicious French shortbread recipe as a base and decorate the cookies with top quality fondant, that we stamp with the words or logo of your choice. We can customize the cookie itself (shape, color, words) and the packaging (ribbon, sticker). A few examples are below for reference. Unicorns, Bunnies, Dinosaurs, Doggies... you name it, we make it! 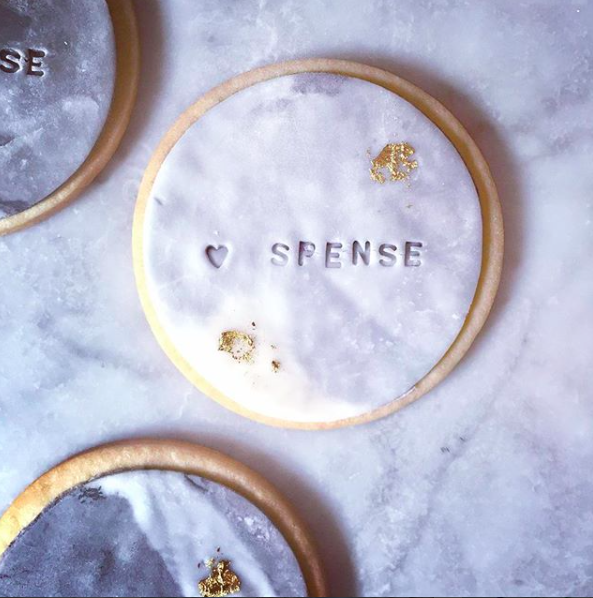 Stamped with your words, decorated with your choice of colors and sprinkles, our fondant-covered cookies are a perfect addition to a fun celebration. Classic french diamond shortbread cookies, rolled in sugar, iced and decorated with organic dried edible flowers. Choice of vanilla, citrus (lemon, orange, grapefruit or blood orange), or chocolate & fleur de sel. Those flowers cookies are beautiful on a dessert table amongst there treats, served along a cup of tea or wrapped and gifted to your guests for a wedding or an event. Packages can be closed with a ribbon and decorated with a personalized sticker upon request. Ingredients (fondant cookies): Flour (wheat), butter, confectioners sugar (sugar, cornstarch), salt, egg, fondant (sugar, corn syrup, palm oil, tragacanth, natural and artificial flavors, titanium dioxide, cellulose gum, glycerine, modified cornstarch, potassium sorbet, acetic acid), natural colors, edible 24k gold. Ingredients (flower cookies): Flour (wheat), butter, confectioners sugar (sugar, cornstarch), salt, citrus, vanilla extract, cocoa powder, chocolate, fleur de sel, baking powder, dried flower.